Basel III is a set of international banking regulations developed by the Bank for International Settlements (BIS) to promote stability in the international financial system. The Basel Committee on Banking Supervision (BCBS), which brings together regulators from 28 countries, establishes rules governing the appropriate level of capital for banks. The BIS, located in Basel, Switzerland, hosts the BCBS, which is a separate legal entity with headquarters at the BIS. These two regulatory bodies play an important role in the development of international banking supervisory standards. The purpose of Basel III rules is to reduce the ability of banks to damage the economy by taking on excess risk. The current version of these rules, known as Basel III, is a key element of the international regulatory reform agenda put in motion following the global financial crisis of 2008. 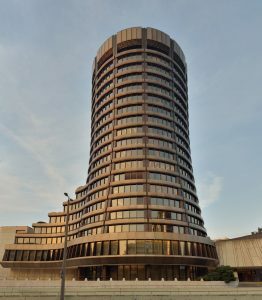 The mission of the BIS, as stated on its website, is “to serve central banks in their pursuit of monetary and financial stability, to foster international cooperation in those areas and to act as a bank for central banks.” The BIS is also the trading agency of the International Monetary Fund (IMF) and central banks for gold. The BIS transacts gold on behalf of its customers, which are central banks. Private banks were found to be undercapitalized after the financial crisis began in 2007. This forced taxpayers, through governments, to bail out many banks and prompted development of a global set of tougher rules known as Basel III. Basel III rules are supposed to come into full force in 2019. However, regulatory and market pressure is pushing banks to comply with the rules sooner than that. During the 2008 financial crisis, gold was used in international settlements as a zero-risk asset after many decades of being sidelined in the monetary system. 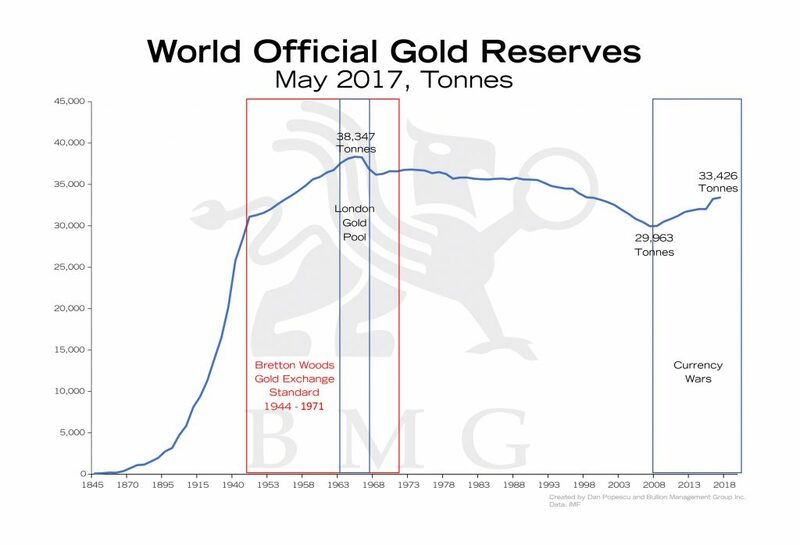 Since then the world’s central banks have been substantially increasing their official gold reserves. Gold’s old emergency usefulness resurfaced, albeit behind closed doors, at the BIS in Basel, Switzerland. World official gold reserves, as of May 2017, reversed 41% of the 1967-2008 gold sales. The world’s central banks hold approximately 18% of all the above-ground stock of gold. Peter Bernstein, in his book The Power of Gold, says, “Gold may again serve as the ultimate hedge in chaotic conditions. Its return to its traditional role as universal money is unlikely, however, unless the time should come when the dollar, the euro, and the yen have all failed to function as acceptable means of payment across international borders.” He considered this possibility of “chaotic conditions” unlikely when he wrote the book in the late 1990s (gold was then at its lowest level, around $250) but today, in 2017 after the 2008 financial crisis, it is extremely likely. The central banks of developing countries around the world are increasing their gold reserves since the 2008 financial crisis, while the central banks of developed countries stopped selling their official gold reserves. One exception was Canada, which, at the beginning of 2016, sold its last three tonnes of official gold reserves. 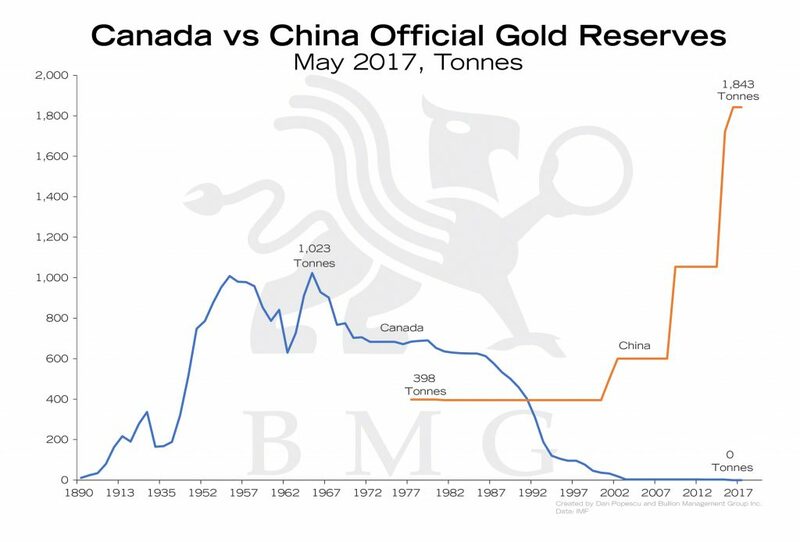 Gold is becoming more and more acceptable to the banking sector, but strong anti-gold indoctrination that took place in the 1980s and 1990s still exists, especially in North America. The election of a gold bug as president of the United States could accelerate the change of this anti-gold bias. As of 2017 gold still represents a fraction of global financial assets. 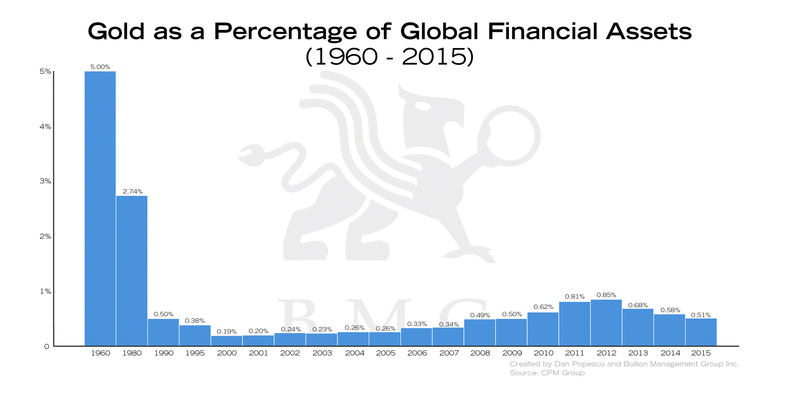 Gold as percentage of global financial assets in the 1960s was ten times that of 2015. What is the relationship between Basel rules and gold? Basel rules are a set of recommendations on capital requirements for private banks. Bank assets are divided into several groups based on their perceived riskiness, with bonds and gold in the least risky category. Banks were required, according to Basel I rules, to cover 8% of their assets based on a special formula. The objective was that at least a part of the total banks’ assets would be backed by assets, including gold, that were perceived as safe. Basel III rules abolished the Tier 3 capital class, and all assets fell under either Tier 1 or Tier 2 capital. In Basel III, gold’s liquidity haircut is increasing to 85% from 50%. This percentage is used to help calculate a so-called liquidity buffer known as the net stable funding ratio (NSFR) that all banks must hold from 2018. The higher NSFR, the more funding is needed to meet the overall NSFR requirement. However, the announcement of the US Federal Deposit Insurance Corporation (FDIC) made on June 18, 2012 and adopted on August 30, 2012 states that “A zero percent risk weight to cash owned and held in all of a banking organization’s offices or in transit; gold bullion held in the banking organization’s own vaults, or held in another depository institution’s vaults on an allocated basis to the extent gold bullion assets are offset by gold bullion liabilities.” So gold was considered riskless in the US under Basel II rules and recommendations, and it will remain this way under Basel III provisions. 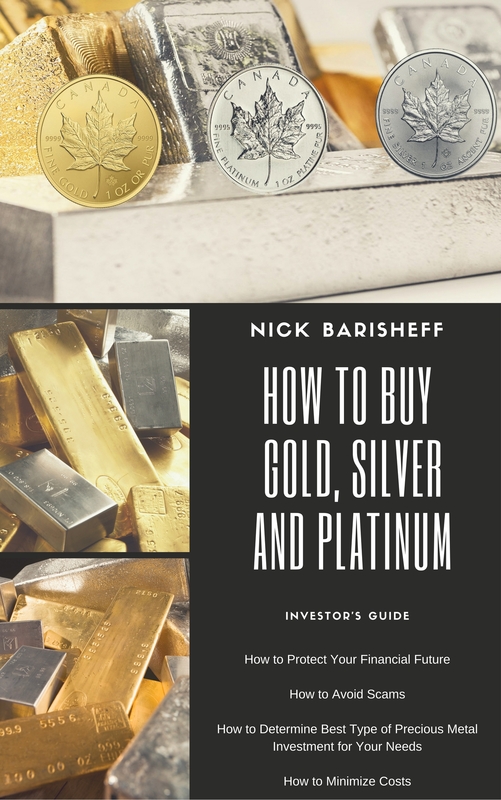 The announcement also states that “the final rule defines financial collateral as collateral in the form of: (1) Cash on deposit with the banking organization (including cash held for the banking organization by a third-party custodian or trustee); (2) gold bullion; …”. 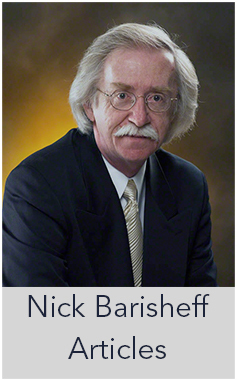 Today, in Basel III’s language, gold’s liquidity haircut has increased to 85% from 50%. However, a repeat of the 2008 financial crisis, but on a larger scale, would in our view change things in favour of considering gold a 0% risk asset, as it was considered by the world’s central banks during the 2008 financial crisis. We hear also of an increasing acceptance of gold as part of the international monetary system both in academia and in the central bank sector. 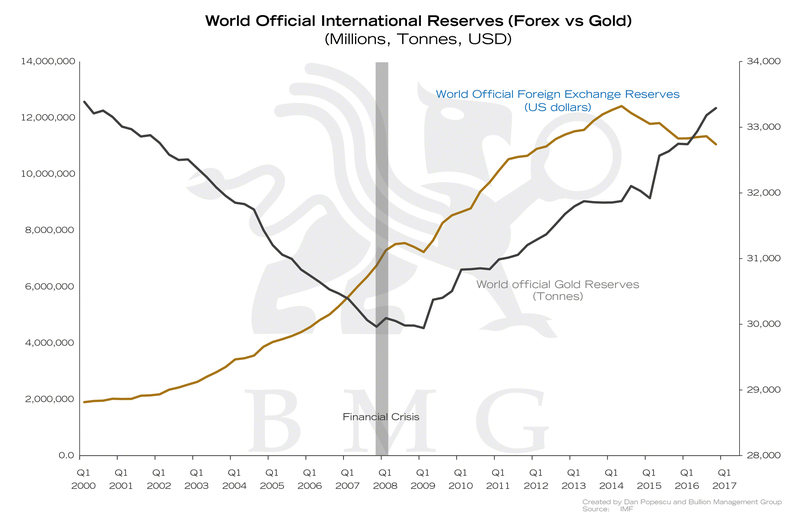 A substantial increase of world official gold reserves since the 2008 financial crisis confirms it. The status of gold as a risk-free asset in Basel III will certainly have a positive effect on the price of gold, as I am sure the gold Shariah standard, which was adopted at the end of 2016, will also have. Gold was accepted for the first time as an investment in Islamic finance after the group that sets standards for the industry adopted Shariah-compliant rules for trading gold. The rules approved allow gold to be used in the $1.88 trillion Islamic finance business. The world banking sector will take a little longer to abandon its false anti-gold indoctrination, but it will. 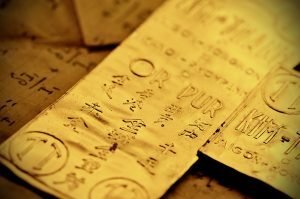 Gold is already a de facto zero-risk asset and has been for thousands of years. As it stands, Basel III, according to LBMA and other industry bodies, makes funding gold transactions for commercial banks difficult and increases the cost of doing business. But as the reset of the international monetary system approaches, gold will be adopted even by the banking establishment, irrespective of Basel rules, as the only riskless asset, as the Chinese and Indians are already doing. Movement in that direction can already be observed in Europe, and even in the US. In a recent Financial Times article, we learned that not only world central banks but also sovereign funds are stocking up on record gold reserves amid uncertainty. The allure of gold, helped by ‘haven asset’ status and rising prices, is attracting world sovereign funds and central banks. The article says that “gold reserves of the world’s biggest public sector investors reached an 18-year high as they hoarded the precious metal after Donald Trump’s election and the Brexit vote added to geopolitical uncertainty.” Basel III will have to adjust to reality sooner or later. There is already talk of a Basel IV, even before Basel III comes into full force in 2019. We do not exclude gold being risk-weighted at 0% in a Basel IV update, and would not be surprised if that happened in the next financial crisis or soon after. 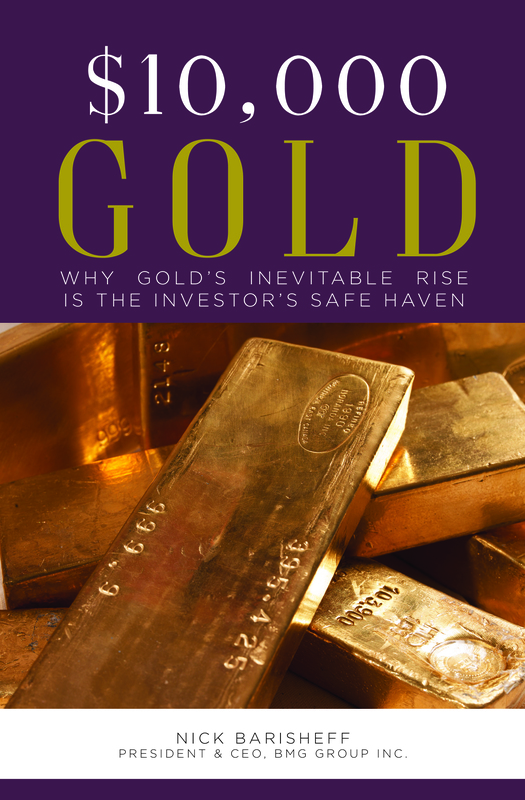 Since I penned this article, several events have accelerated and confirmed gold’s role in banking viability and its strategic place in portfolio design. Canada’s top financial regulator, the Office of the Superintendent of Financial Institutions (OSFI), confirmed early last year that 2019 will be the first full calendar year that the Basel III rules will be enforced. Gold held in an institution’s vault(s), or held in trust (i.e., monetary gold) now qualifies as “a 0% risk weighting for risk-based capital purposes.” The Bank for International Settlements has posted these reforms on its website. Canadian banks are now free to add monetary gold to their increased reserve positions, and to treat it in the same as they would cash or AAA-rated government bonds. On January 31 of this year, the World Gold Council revealed that global central banks, in response to the Basel III rule changes and growing political and market uncertainty, added 651 metric tonnes of gold to their reserves in 2018. This is a 50-year record, and represents a 74% year-over-year increase in net purchases. It is also probable that current institutional demand is reflective of the harsh reality facing the gold mining sector. The trifecta of declining resources, compounding regulatory and environmental burdens increasing the time to production, and few to no new major discoveries will lead to supply shortages. The explosive growth in monetary demand for gold and the dramatic decline in gold production will certainly buoy the price well into the future – independent of broader market conditions. However, when the next financial crisis arrives and capital is forced to seek an alternative to more traditional assets for banking viability and liquidity, both institutional and retail demand will seek this asset class for the same reasons that they have for millennia – peace of mind.